The NCP500 Express New Business Editions, are designed to meet your business communication needs quickly and easily. Both types of system are designed to provide a range of Business features, integral voicemail, a full range of wired and wireless telephone devices, and a PC application to make using your phone both easy and fast, plus it integrates to other applications. KX-NCP1104X This card is required to provide VoIP and IP Capability to the Panasonic NCP 500 and 1000 Platform. Additional Licenses can also be purchased if required. KX-NCP1180UK LCOT4 4 Port Analogue Trunk Card with Caller ID. Activation Key to unlock NCP500X/V to full NCP500 Spec. KX-T7765X The T7765 is a new high quality design doorphone. It is suitable for home and small office use on any door type with its metallic finish. The T7765 connects directly to Panasonic's PBX and allows callers to easily speak with your staff. At dusk, visitors can easily find the call button thanks to the luminous ring, making access so much quicker. The Panasonic KX-DT321 Digital Handset is an advanced, business-class device designed for effective daily communications. The unit is ergonomically designed with functions and features to enhance users daily productivity. It is ideal for many applications including contact centre agents, hotel rooms and advanced desktop applications supporting a range of wired and Bluetooth headsets (headset not included). KX-DT521 The KX-DT500 Series Digital Proprietary telephones take you to a new dimension in audio experience through excellent Voice quality audio on every phone, combined with easy access to powerful supportive features and applications. The sleek, ultra-modern design, available in both black and white colour options, works well with any office decor. KX-DT543 The KX-DT500 Series Digital Proprietary telephones take you to a new dimension in audio experience through excellent Voice quality audio on every phone, combined with easy access to powerful supportive features and applications. The sleek, ultra-modern design, available in both black and white colour options, works well with any office decor. KX-DT546 The KX-DT500 Series Digital Proprietary telephones take you to a new dimension in audio experience through excellent Voice quality audio on every phone, combined with easy access to powerful supportive features and applications. The sleek, ultra-modern design, available in both black and white colour options, works well with any office decor. The KX-NT300 Series IP telephones take you to a new dimension in audio experience, communications productivity and customer care. This advanced range brings you the power of the existing Panasonic KX-TDA Hybrid IP PBXs as well as integration with the advanced KX-TDE IP PBX systems - allowing quick access to the entire spectrum of phone system features and applications. 3-Line Back-lit Display 24 Programmable Keys Full Duplex Speakerphone 2 Ethernet Ports (100Base-T) Power Over Ethernet (PoE) KX-NT303 compatible KX-NT305 compatible KX-NT307 compatible. 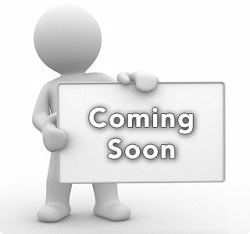 *** End of Life Product - Replaced by KX-NT543 - Limited Stock available, please contact us to confirm availaibility. *** End of Life Product - Replaced by KX-NT556 - Limited Stock available, please contact us to confirm availaibility. The KX-NT400 is an IP Telephone with colour touch sensitive LCD display, speakerphone, Bluetooth compatible (with optional module), SD card slot for programming and data back, Power over Ethernet (PoE) The KX-NT400 telephone with colour LCD screen/built-in graphical user interface (GUI). Includes built-in speakerphone, SD card slot for programming and data backup, Bluetooth compatible (with optional module), Power over Ethernet (PoE). Works with Panasonic Communication Assistant productivity software. The heart of the KX-NT400 is an intuitive 5.7-inch color touchscreen that provides easy navigation to multiple options, including a Camera Screen that displays live video feeds and captures images from up to 20 network cameras. This allows users to monitor remote locations or see who's at the front door and even control camera pan, tilt and zoom directly from the phone.  Built-in Communications Assistant software with Voice Mail Assistant for managing messages on the phone's screen.  Contacts Screen that presents contact information in a format that is easy to manipulate.  Call Log Screen with caller ID data for incoming, outgoing and missed calls.  Calls Screen that shows handling options for connected calls (record, conference, transfer, etc.).  Chat Screen for sending and receiving text messages to and from other NT400 users.  Company Portal Screen that enables business users to access delivery schedules, order-tracking software and other intranet applications while speaking with a customer.  The NT400 phone supports wireless Bluetooth headsets and features 48 programmable soft keys, an Easy Navigation Key for fast one-touch access to phone functions and Power over Ethernet capability, which allows data and electrical power to be transmitted over an Ethernet cable. Connections include two Ethernet ports, a USB port, an SD card slot and a headset jack. Optional Module for the KX-NT346 and NT343 only. A Bluetooth module is available for effortless wireless connection. Available for all models - connects as add-on module behind LCD display. Supports the following Bluetooth features. KX-TCA185 To ensure efficient, comfortable and clear communication, the KX-TCA185 DECT handset is equipped with a noise reduction function, which can be enabled at the press of a button. This function reduces surrounding noise and makes the speakerâs voice far easier to hear and understand. Additionally, the KX-TCA185 automatically adjusts the receiver volume to an easy-to-hear level if it detects noise when moving from a quiet place to a noisy place, providing comfortable voice calls without stress. KX-TCA385 While many phone handsets are easily damaged by knocks and bumps in working environments, the KX-TCA385 DECT handset is ready for anything. Protection and dust and splashes, and resistant to shock, it can perform even in the harshest environments. KX-TDA0155CE Whether you work in an office, a factory, a warehouse, a supermarket, or other large facility, the Multi-cell wireless system keeps you in constant touch with colleagues and customers even when you are untethered and moving within the work environment. Enjoy the freedom to communicate wirelessly with crystal clear voice quality. Receive your customersâ calls wherever you may be and make the most of every business opportunity that comes along. KX-TDA0156CE Whether you work in an office, a factory, a warehouse, a supermarket, or other large facility, the Multi-cell wireless system keeps you in constant touch with colleagues and customers even when you are untethered and moving within the work environment. Enjoy the freedom to communicate wirelessly with crystal clear voice quality. Receive your customers calls wherever you may be and make the most of every business opportunity that comes along. Enhance your business with the latest SIP telephone technology, helping to improve your business communications, decrease running costs and simplify equipment management. The KX-UT Series SIP Telephones are ideal for all office use, suitable for reception, or hotel rooms. This powerful SIP device includes a rich feature set, caller ID, call log, 3-way conference communication, and many more provided by your IP-PBX*, Asterisk or Broadsoft service provider. The KX-UT series are equipped with high quality wideband voice, EHS Electronic Hook Switch, support for XML applications, and consumes low power in standby mode. KX-UT133X-B Enhance your business with the latest SIP telephone technology, helping to improve your business communications, decrease running costs and simplify equipment management. KX-UT136X-B Enhance your business with the latest SIP telephone technology, helping to improve your business communications, decrease running costs and simplify equipment management. 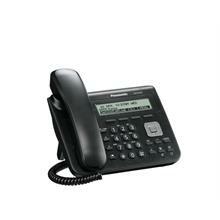 The KX-UT Series SIP Telephones are ideal for all office use, suitable for reception, or hotel rooms. This powerful SIP device includes a rich feature set, caller ID, call log, 3-way conference communication, and many more provided by your IP-PBX*, Asterisk or Broadsoft service provider. The KX-UT series are equipped with high quality wideband voice, EHS Electronic Hook Switch, support for XML applications, and consumes low power in standby mode. KX-UDT111UK The new Panasonic range features two new fully featured DECT handsets, plus a new 4 channel High-Definition Voice DECT cell station. Both handset models include a full duplex hands free mode and headset support, giving the user plenty of options for keeping both hands free while staying in touch. The KXUDT 121 also has built-in Bluetooth support allowing a wireless headset to be used. This range is platform independent and can work with any SIP compliant service, enabling high quality wireless communications in any business. Networks of up to 128 cell stations and 255 handsets can be created. Phonebook entries for the handsets can be edited using a simple PC interface, with changes and updates sent âover the airâ. With 5 numbers stored per contact you can be sure that itâs easy to keep all your contact details up to date and organised. Panasonic considers high voice quality to be paramount â to ensure your message is understood. in common with our other SIP terminals, the new range of SIP based DECT devices offers superb HD voice quality, using the G.722 wideband codec, for crystal clear call quality. Enhanced radio systems keep call quality clear even at the extremes of cell coverage, thanks to Panasonicâs enhanced voice processing technology. Performance in noisy environments is also improved â ambient noise is intelligently detected and reduced, giving optimum performance in areas subject to high background noise levels. Automatic volume control is also included to enhance intelligibility. the ability to handover calls seamlessly between DECT cells gives you the freedom to move anywhere in the organisation, staying in touch all the while â moving between cells in the same air sync group is completely transparent. SIP DECT solutions give the opportunity to utilize an existing network infrastructure to carry voice and signalling traffic to the cell stations â no extra special cabling is required. System maintenance is simple, and can be carried out remotely using any networked PC. Cell stations are easy to deploy, thanks to their simple and powerful remote administration system. KX-UDT121UK The new Panasonic range features two new fully featured DECT handsets, plus a new 4 channel High-Definition Voice DECT cell station. KX-UDS124CE The new Panasonic range features two new fully featured DECT handsets, plus a new 4 channel High-Definition Voice DECT cell station.